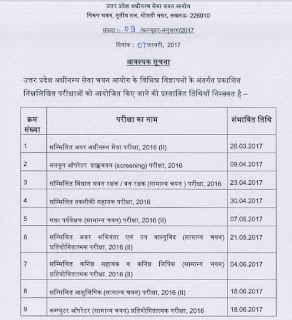 Uttar Pradesh Subordinate Services Selection Commission (UPSSSC) had released the schedule of various exams it is going to conduct in the year 2017. UPSSSC organizes several exams in a year including Kanisth Sahayak, Avar Abhiyanta, Combined Subordinate etc. as per a schedule. Here you can get UPSSSC Exam Calendar 2017 which will let you know about all upcoming exams in 2017. UPSSSC had released the schedule on its official site upsssc.gov.in which notifies about the dates of various exams. 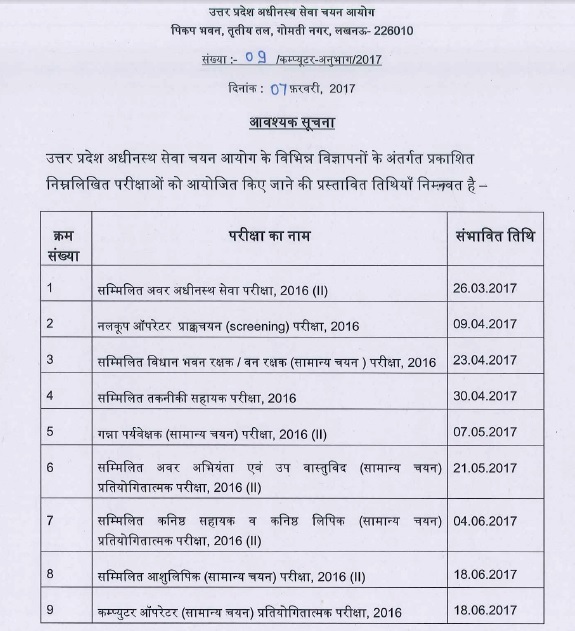 Below is the schedule of UPSSSC Examination to be organized in 2017.